Sandy, Inka, Archie and Pickle can't wait to meet you! The Sandy Balls alpacas arrived at our Holiday Village in 2014 and they’ve become the kids (as well as the adults) favourites since then. But where did they come from? What do they eat? Where can you meet them? Here are some great facts about our friendly Alpacas at Sandy Balls. Our alpacas were bred in the New Forest but are native to Peru. Sandy, Inka, Pickle and Archie are all boys, they are really good brothers. Like all animals, alpacas exhibit individual personalities. They prefer the companionship of their friends and their established community and will become stressed if separated from their buddies. At Sandy Balls they can be together all the time and they seem to be very good siblings. Gentle and curious, alpacas respond well to children. The alpacas eat mostly grass, but their diets can also include leaves wood, bark or stems. Humming is the most common sound that alpacas make, which has been described as a kind of musical purring. Alpacas hum when they are curious, content, worried, bored, fearful, distressed or cautious. At Sandy Balls we have two fun activities where you can meet them. 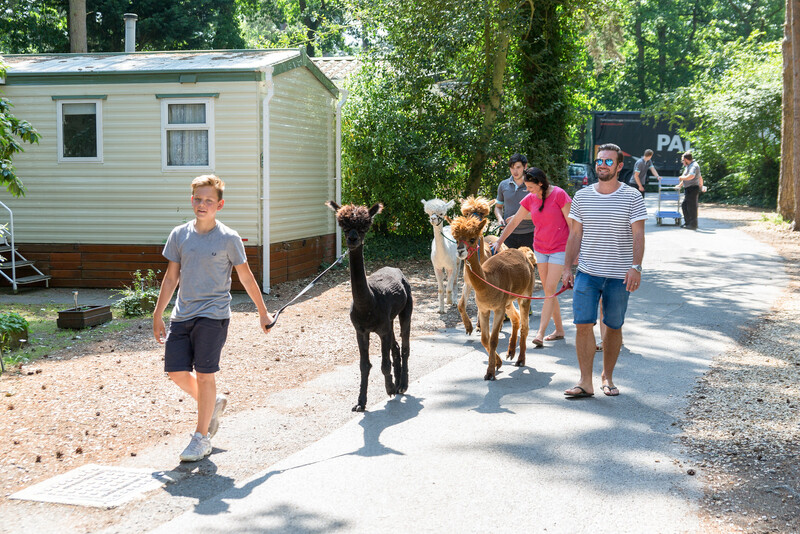 The Alpaca introduction where you will have a chance to get up close to them and learn more about these beautiful creatures or the Alpaca walk where you can take them for a little walk. Fancy a spot of fishing? Here’s some top tips from fishing guru Duane to get you started. Are You Going to the Royal Welsh Show?